Piso Livadi. 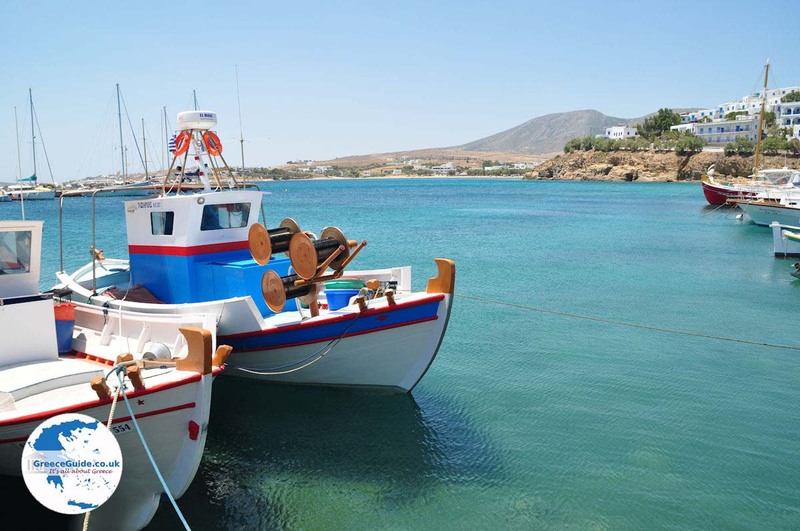 Piso Livadi is a small, quiet fishing village in the east of the Greek island of Paros. 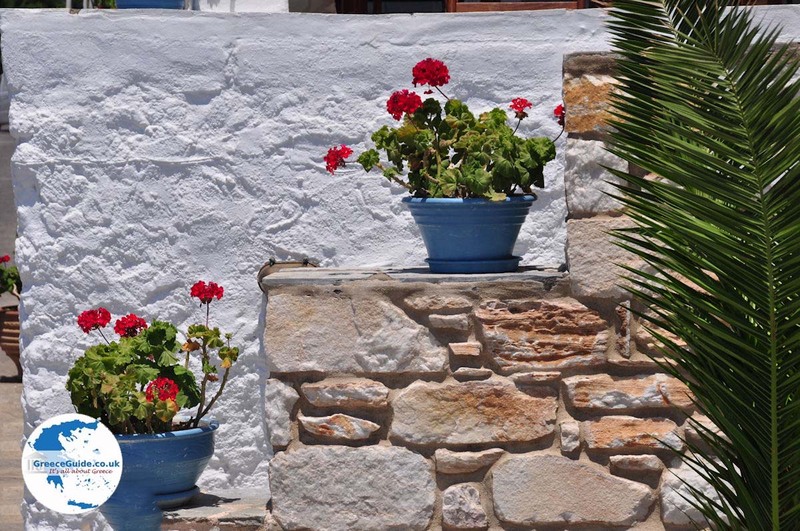 It is a typical Cycladic village, of whitewashed houses with blue painted doors and window frames. 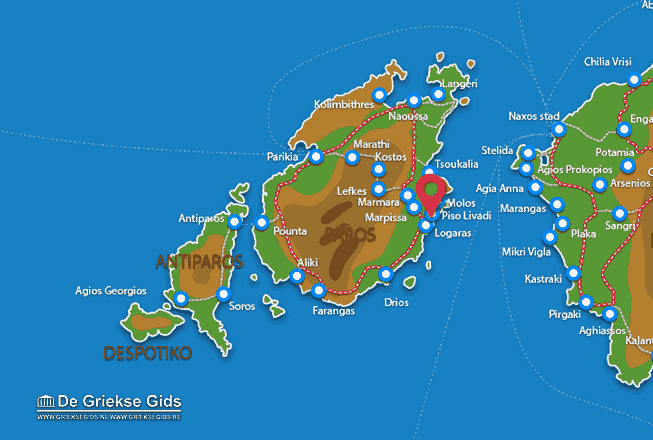 It is located 12 km (7 mi) south of Naoussa and 17 kilometers (11 mi) east of Parikia. 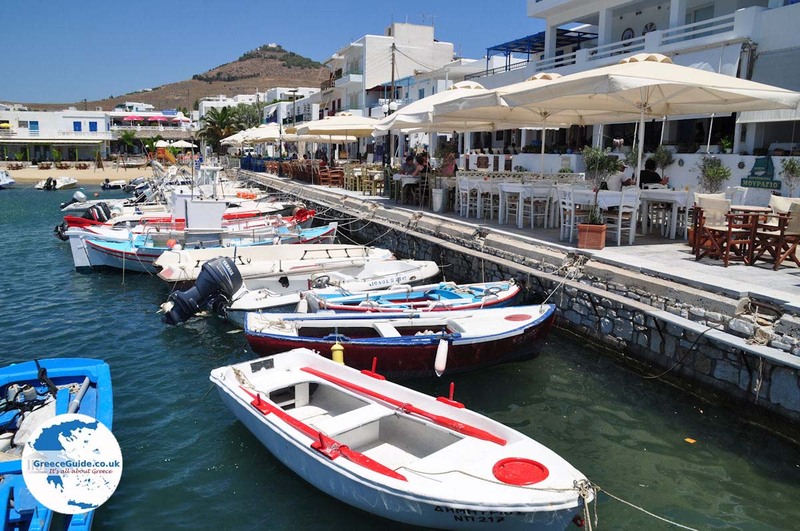 At the fishing harbor are several restaurants, cafés and ouzeries. 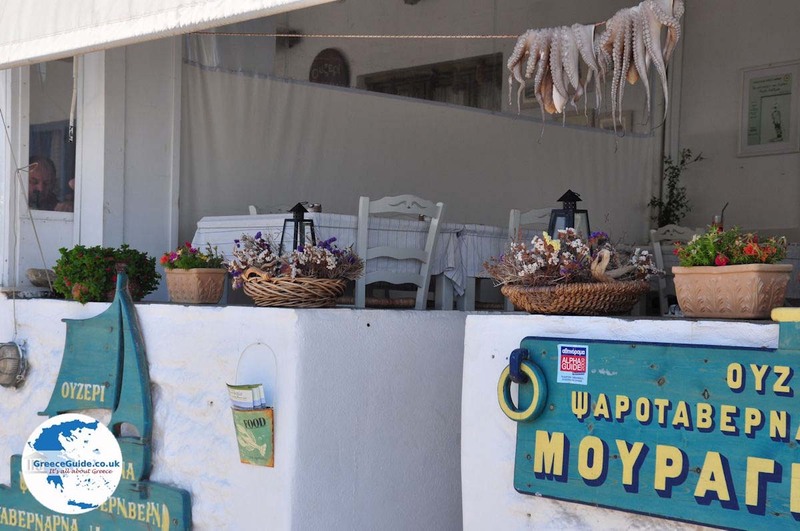 You can try delicious Greek cuisine beside the water, while enjoying a nice cold ouzo or wine. 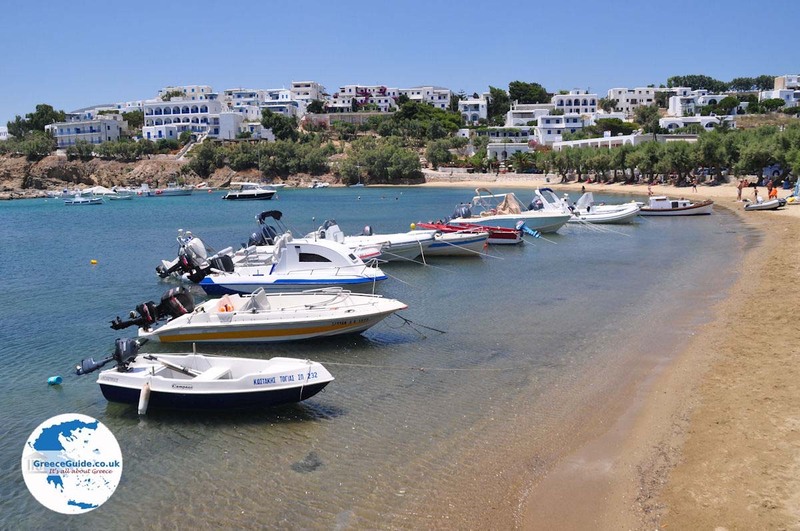 At the harbor there is a small, sandy beach and several rooms and apartments for rent nearby. 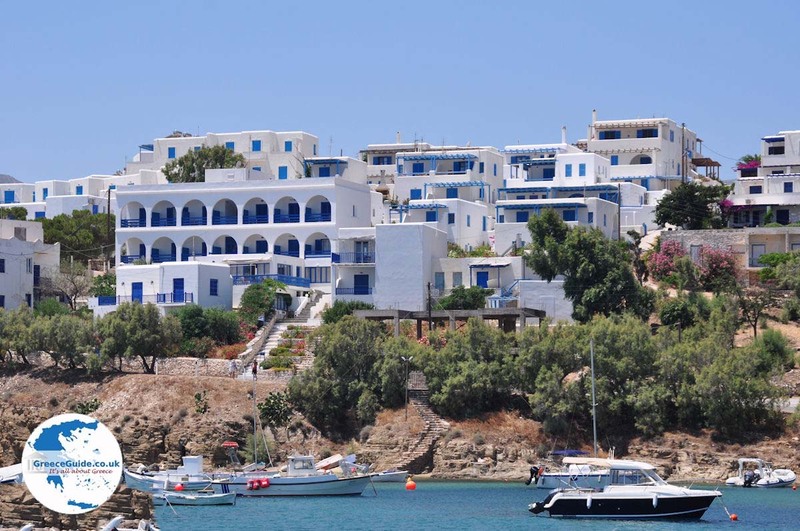 Larger hotels are located to the left of the beach, on the slopes of a low hill. Piso Livadi has several shops and souvenir stores. At the edge of the beach, pine trees provide shade and coolness in summer. 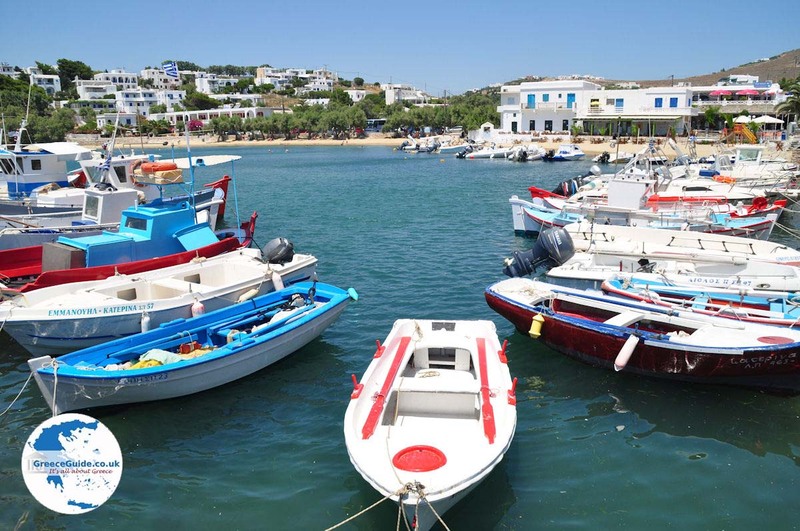 During summer, small tourist boats depart from the harbor of Piso Livadi and head to various islands, such as Naxos, Ios and Santorini. The church of Aghios Georgios Thalassitis, with wall paintings from the 14th century, is located in Piso Livadi. 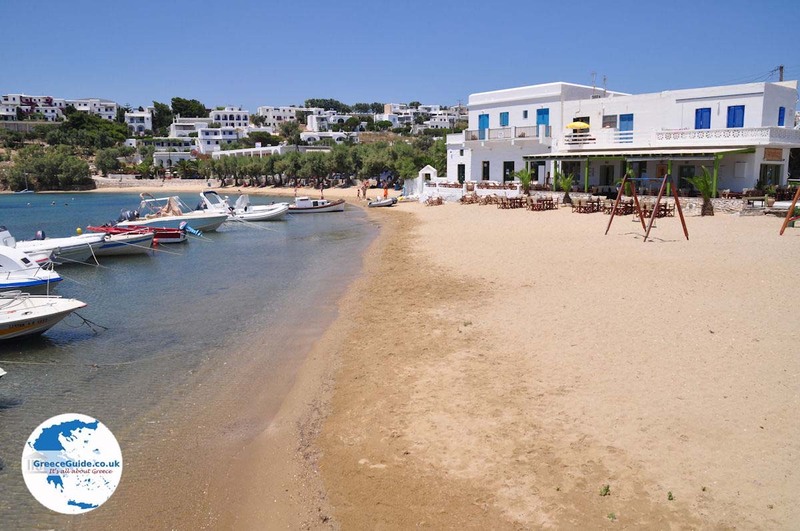 Logaras is a very nice beach located one kilometer (less than a mile) south of Piso Livadi. Trees reach to the beach. 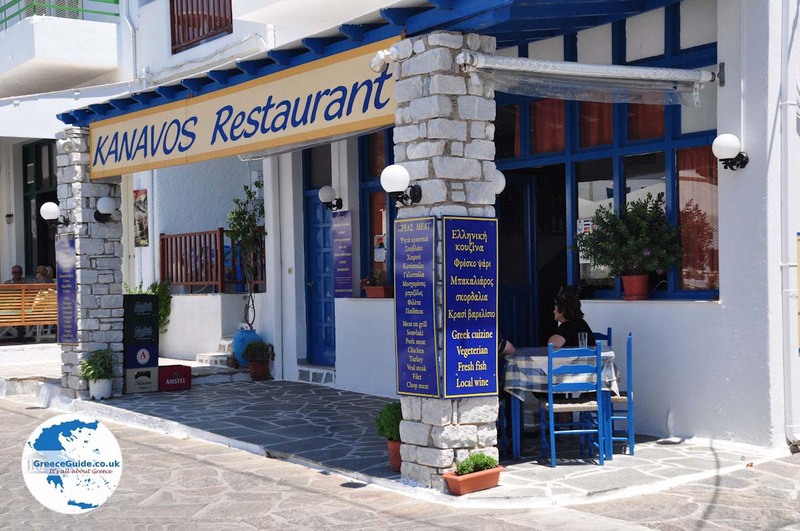 On the beach are several seafood taverns and restaurants. Here one can play all kinds of water sports. Nearby, rooms and apartments are for rent. 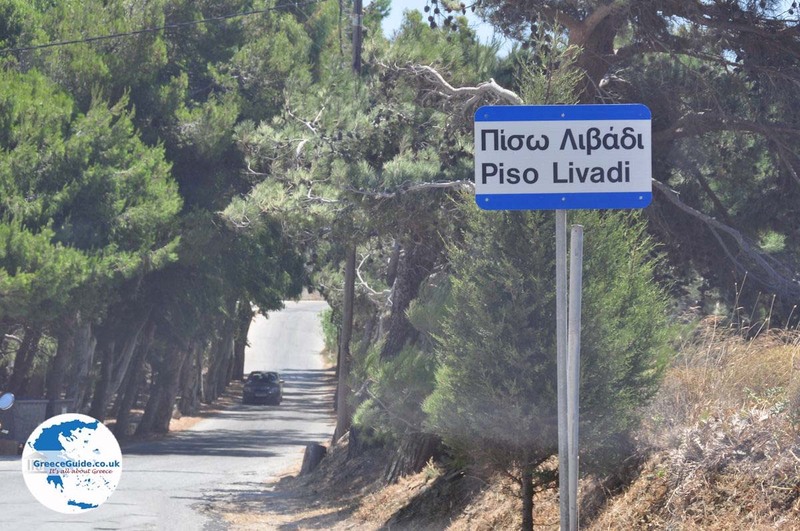 Paros: Where on the map is Piso Livadi located?